Dan Beres oversees Enterprise Services for Recall Masters, which includes OEM and strategic partnerships. Dan has 20 years experience selling and managing technology/marketing solutions in the auto industry. 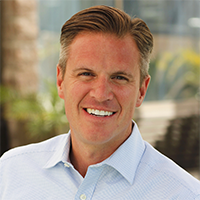 Dan held position of Executive Vice President and 7-Year Managing Partner of MyCustomerData in Aliso Viejo, CA. He was a 4-year Director of Sales for DMEautomotive in Florida. Also, the 8th employee of Tech/Telecom start up Who’sCalling in Kirkland WA. He possesses expertise in Sales Leadership, Management, & Sales Process. Also experienced in marketing and CRM execution, Administration and Operations. Developed and Nurtured Corporate Relationships with OEMs and Auto Groups such as BMW, MINI, Mercedes-Benz, Volvo, and FCA (Fiat Chrysler), AutoNation, Sonic, Penske, Asbury and Van Tuyl. Dan holds a Bachelor of Arts in Communications from Eastern Illinois University, 1992. Dan also sits on the Board of Directors for Providence Speech and Hearing Center, a nonprofit organization providing services to the speech and hearing impaired of Orange County, California.